Left the cold, wet and windy England, for the cold, wet and windy Spain for the press event of the ProCeed. 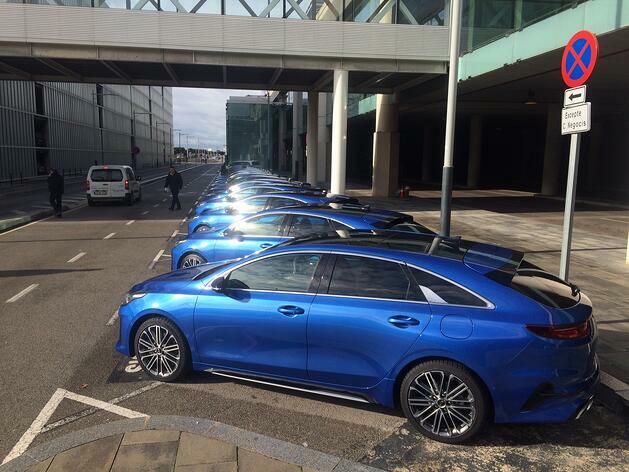 The cars were lined up outside Barcelona airport, all looking magnificent in blue metallic, and the sun was trying to pop out from behind the clouds. First impressions are very important, and the first impression was this was a very handsome and stylish C-Sector estate, and possibly the best looking in its sector. 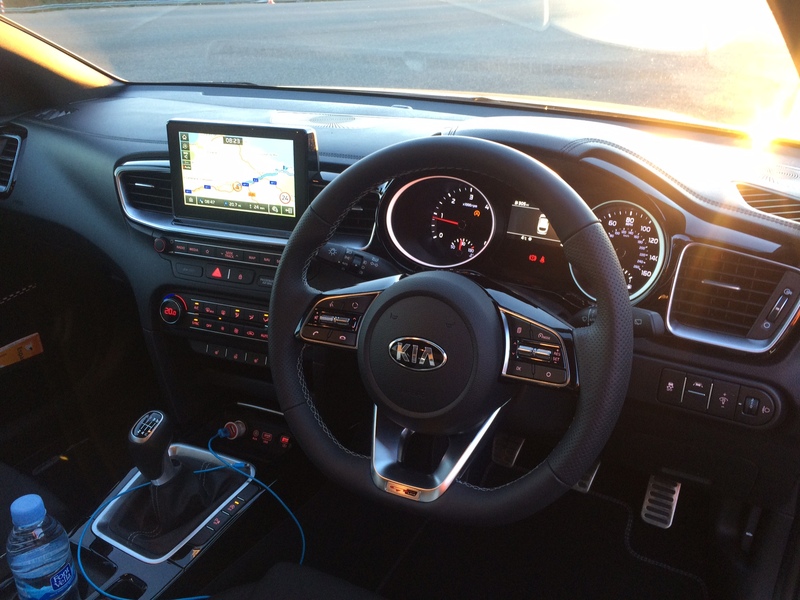 The blue estate was fitted with a very smooth 7-speed auto DCT and it suited that 1.4 petrol engine very well. The name has been updated from pro_cee’d to a very simple ProCeed, why oh why they decided on an under-score and an apostrophe in the first place is beyond me, but they did, we lived with it, and now it’s back to the correct spelling. But the confusion doesn’t stop with the new name format, but the previous pro_cee’d was in fact a three-door coupe, so new name, and new body style. The exterior design is more like a coupe or an expensive tourer, but merges into a shooting-brake body style… quite clever. It does look good from every angle, with the rear end particularly attractive and different. 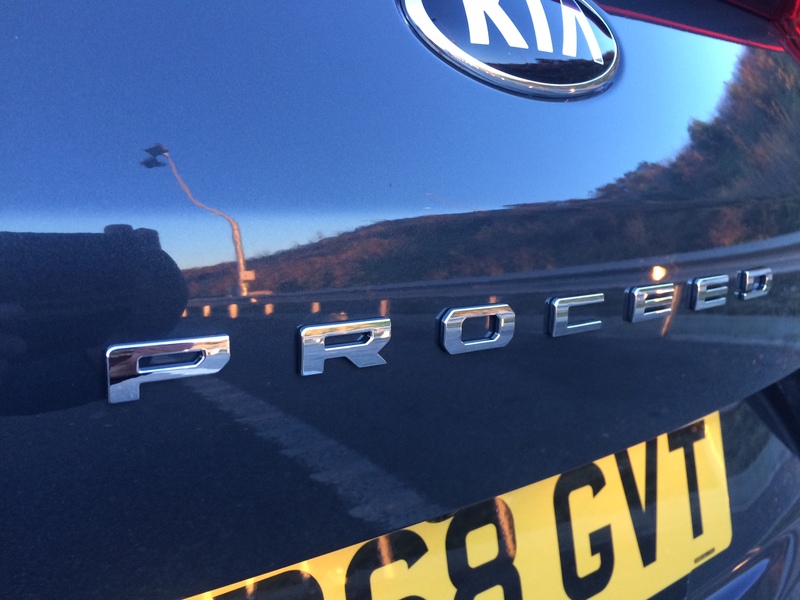 For many years now, we have been amazed by the improving quality of every KIA launched, every new model was much better than the previous one. This continuing and relentless improvement to the materials used, and fit and finish was unbelievable. This new ProCeed is up to a very high and premium standard, but you have to wonder just how much more can be done by the manufacturer, you do begin to feel that their limits have been reached now and it will level off now, or they may just surprise us once again, with the next model they launch. 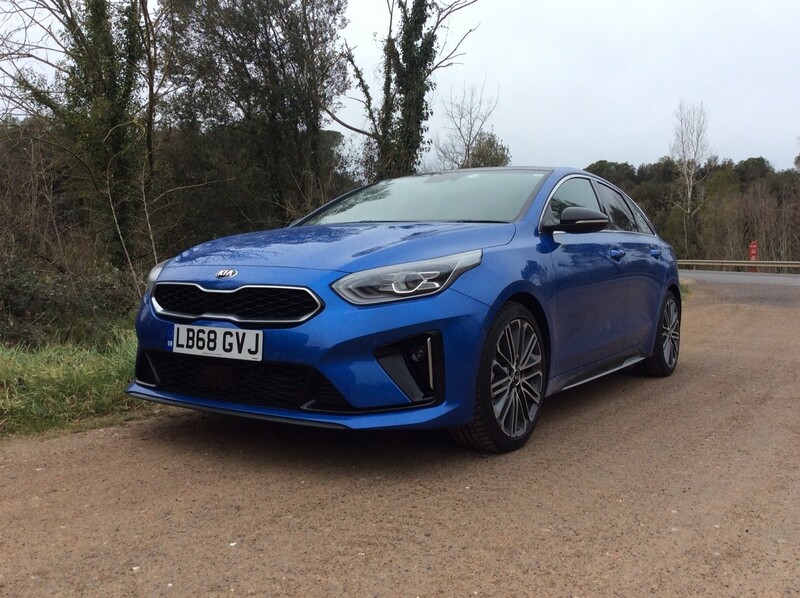 The ProCeed will be available in three models: GT-Line, GT-Line S and High-Performance GT, so not a base car in sight, and that is probably a wise move by KIA. Every car will have a very high level of standard specification, and all will look good. The cabin is well laid out, with all the controls, buttons and levers easy to use and intuitive. The large 8-inch touchscreen navigation system is so clear and quick and simple to use. We drove the car on motorways, through small towns and villages and up into the hills, the overnight accommodation was just a few kilometres from the French Border. The drive was uneventful, but the weather did get worse as the day went on, and got colder and more windy the further North we went. The following morning we drove the two-and-a-half hours back to Barcelona in a 1.6-Litre diesel powered ProCeed. This engine produces 134bhp, a similar output to the 1.4 petrol. This CRDi is quiet and is a pleasure to drive on the motorway. But having driven both fuel’s, I think I would sway towards the petrol. The C-Sector estate market has not been in good health for some time now. Buyers across Europe, including the UK have been turning their backs on them, in favour of the SUV. The SUV is now offered by just about every manufacturer and comes in various shapes, sizes and prices. You do have to wonder how long the estate can survive, given the ever-growing popularity of the SUV. So the Shooting-Brake, or Wagon needs to be attractive, both in looks and specification offered. The ProCeed passes on both of these requirements. 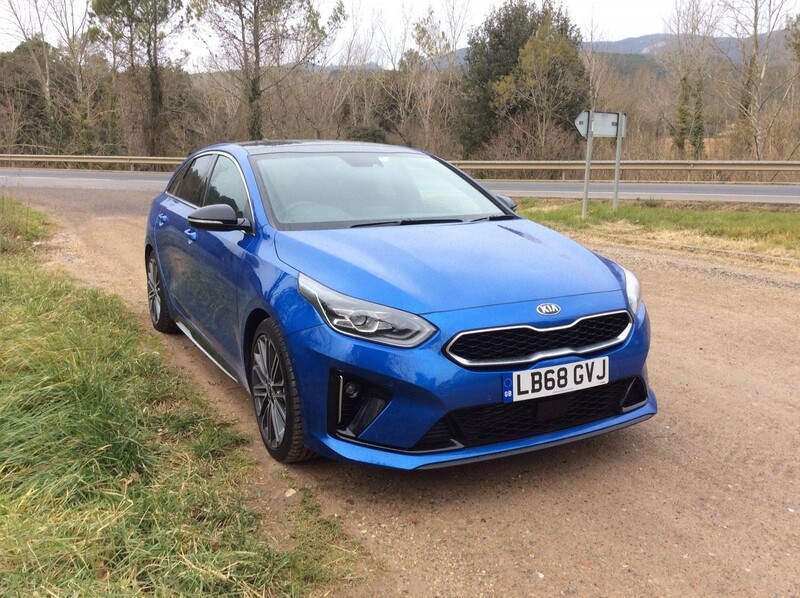 Prices start from £23,835, so not cheap – the cheap and cheerful KIA is long gone, but KIA is being realistic with the amount it expects to sell in the UK. The large volume will still be with their very attractive SUV’s, a sector of the market they really can compete in.